Often when responding back to emails, we need to provide our comments inline. we usually do this manually by adding our name, changing fonts, making font bold etc. 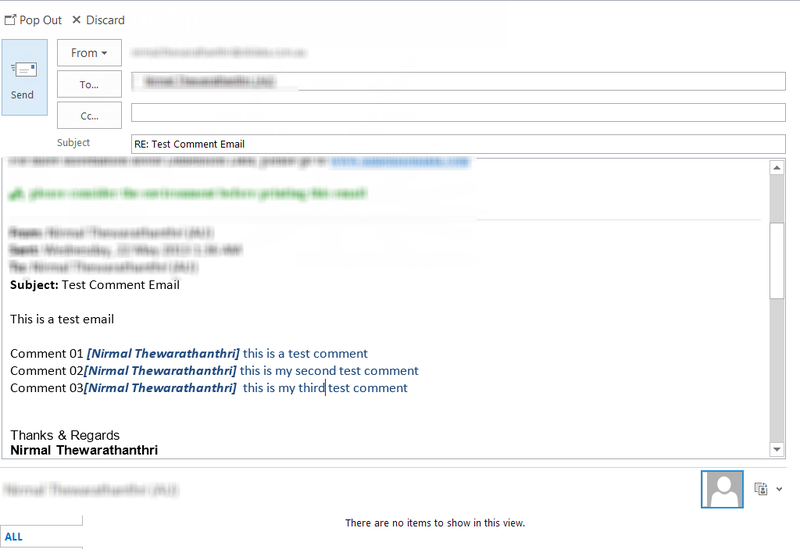 it’s possible to mark comments automatically on Outlook and I find it as a great feature which saves a significant amount of time. On outlook 2013, you need to follow below mentioned steps to get it activated as this feature is not enabled by default. 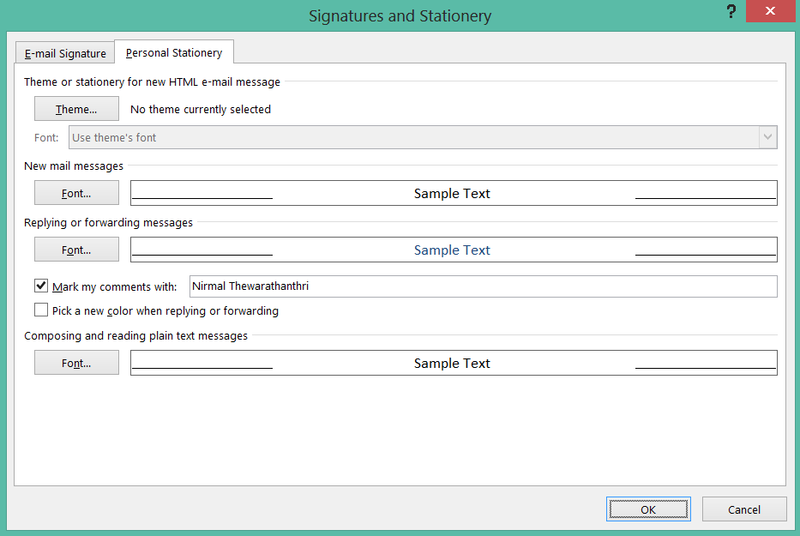 also note that this is not specific for Outlook 2013, it’s available on older versions such as Outlook 2010, Outlook 2007 as well.